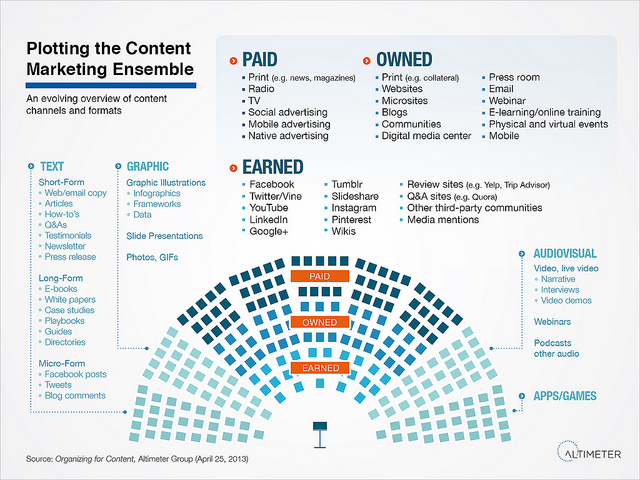 Leading consulting firms in the digital space have produced impressive output when it comes to characterizing types of content and kinds of channels that can be used by a brand. 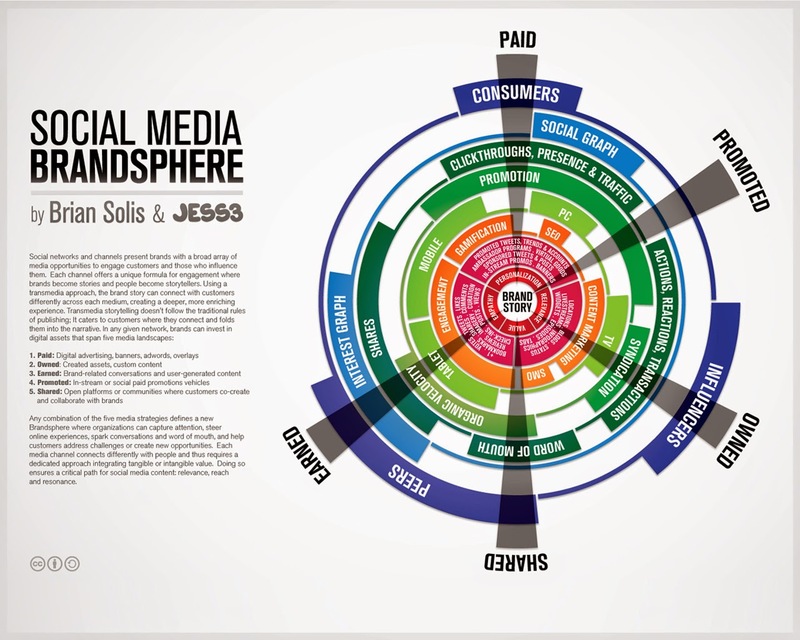 Among those there is the below overview of content, channels and formats by the Altimeter Group and the social media brandsphere by Brian Solis. The initiative achieved its primary goal which was to generate traffic for a microsite dedicated to the issue of breast cancer, which was released by Nestlé as part of the campaign that was associated to Nestlé's Fitness line, whose primary target is the same as the audience of the initiative, i.e. women caring about their health and well-being. 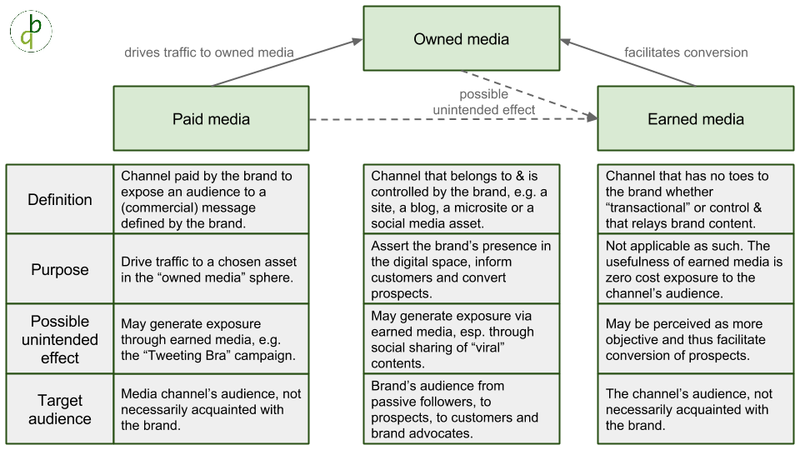 But more remarkably, the campaign also achieved significant exposure in unpaid media, i.e. earned media often in remote countries thus giving Nestlé's initiative an impact well beyond what the company initially aimed for.